Businessman Huang Yiqing claims on Weibo that the actress has been detained. 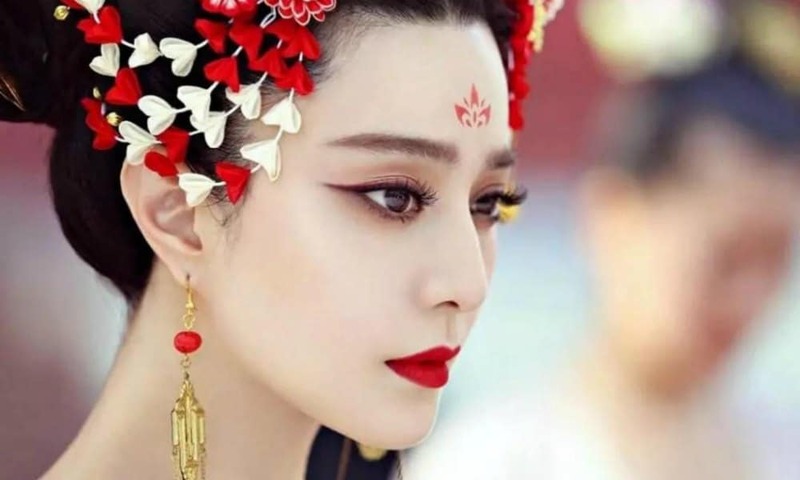 Strong rumors about an alleged arrest of Fan Bingbing, one of China’s most famous actresses, are making their way around Chinese social media today. Fan Bingbing has been at the centre of a tax evasion scandal for the past months. The Chinese actress Fan Bingbing (范冰冰) has been arrested, sources on Weibo claim. Wuxi, in Jiangsu province, is where Fan’s studio is based. Since 2013, it is illegal to spread rumors on Chinese social media; people spreading ‘malicious’ messages that are forwarded more than 500 times could potentially face legal punishment. Huang Yiqing was the second husband of Huang Yi. He is a businessman and chairman of the Super Sports Car Club in Shanghai. Famous Weibo blogging account ‘Labi Xiaoqiu’ (@辣笔小球), run by journalist Qiu Ziming (仇子明), also wrote about Fan Bingbing today, suggesting that the actress has already been “taken away” in July, and further adding that she has since also separated from her partner Li Chen (李晨). 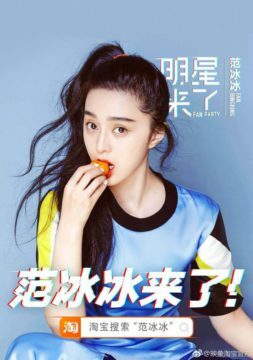 Fan Bingbing, the highest-paid actress in China, found herself at the center of a social media storm in late May of this year. The actress allegedly received a total payment of 60 million yuan ($9.3 million) for just four days work on the film Cell Phone 2, of which she would have only declared 10 million ($1.56 million) to authorities. 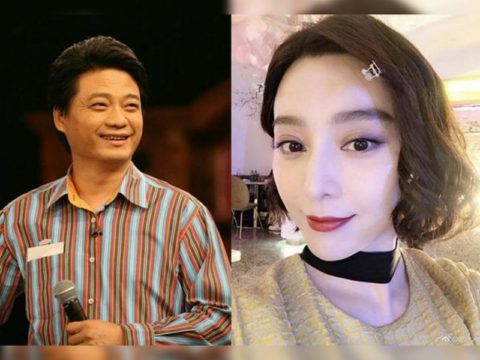 As reported by Radii, the tax scandal first came to light when Chinese TV host Cui Yongyuan (崔永元) leaked two different contracts on social media; the one that allegedly showed that the actress was paid a total of 10 million RMB for her work, with another showing a payment of 50 million RMB for the exact same work. These types of contracts are called yin-yang contracts (阴阳合同), an illegal practice to avoid paying taxes. Cui Yongyuan and Fan Bingbing. Cui later apologized for his posts, Shanghaiist writes, suddenly claiming that Fan actually had nothing to do with the two contracts. But tax investigations into the matter had already started. Throughout summer, international media wrote about the ‘disappearance’ of Fan Bingbing, who was not spotted in public since July 1st. Some sources claimed the actress was banned from acting for three years. In late July, reports came out saying that Fan was banned from traveling abroad amid the tax evasion investigation. From Fan’s Weibo account, image promoting Fan Bingbing beauty brand. Fan Bingbing has starred in many famous films, such as I Am Not Madame Bovary (2016) or X-Men: Days of Future Past (2014). She also starred in the 2014 highly successful drama series The Empress of China. Fan is among the top popular celebrities on Weibo; she has more than 62 million fans on her Weibo account, but has not posted anything since early June. No official media have yet confirmed whether or not Fan Bingbing has indeed been arrested. There are conflicting articles going around, however, posted by other Chinese-language media, suggesting that Fan was in the middle of the process of getting an American visa approved. “According to @AndyHYQ, Fan is already detained. According to outside media, she already had her American visa. What’s the deal?”, some netizens wonder. Wang Yi’s ex-husband is hardly a credible news source. Fan Bingbing doesn’t have a ‘husband’ so far. She and Li Chen are engaged but have yet to tie the knot. Actually,Fan Bingbing is notorious in China.She sleep around just for fame.